Get ready for the wildest, wackiest off-road adventure on four wheels! 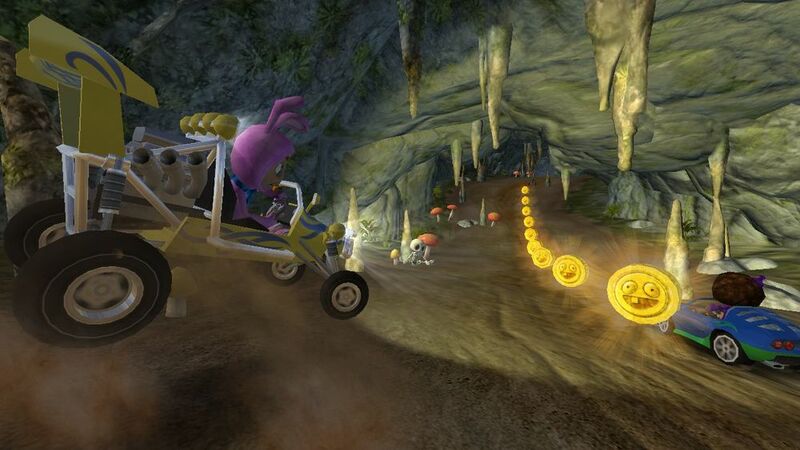 Beach Buggy Blitz is built around an “infinite drive” mechanic that challenges you to drive as far as possible through lushly detailed, procedurally generated levels -- power-sliding through beaches and volcanoes, flying through the air off massive jumps, and smashing through totally destructible obstacles. Collect coins along the way to upgrade or paint your car, unlock new vehicles and drivers, even customize the game itself with new powerups and consumables. 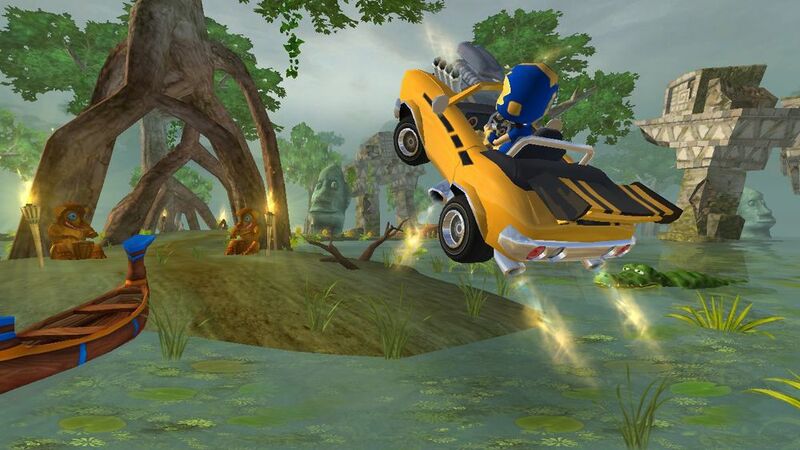 Powerslide through beaches, caves, swamps and volcanoes. Smash through completely destructible environments. Grab air off massive jumps. Punt seagulls and giant crabs and watch them go flying. The procedurally generated environment means you can drive forever (at least until you wipe out), and it never plays out the same way twice. Earn coins to purchase new cars and costumes, upgrade your vehicle, unlock new powerups, and purchase out of this world consumables like the jaw-dropping Drop Ship. You can unlock every single thing in the game without paying a dime. Earn Achievements and challenge your friends to beat your Leaderboard times in the Game Center. Backup your game to iCloud and play across multiple devices. 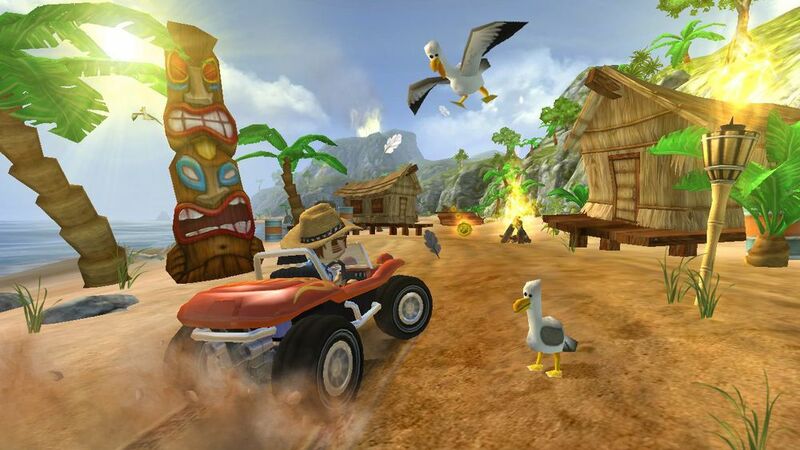 From the gorgeous models and textures, to the detailed driving and collision physics, to high-end special effects like motion blur, lens splash, and dynamic headlights – Beach Buggy Blitz is optimized to take console-quality gaming mobile with Tegra 3 processor-powered super phones and tablets. The game will be featured in TegraZone™, NVIDIA’s free app that showcases the best games optimized for the Tegra processor.